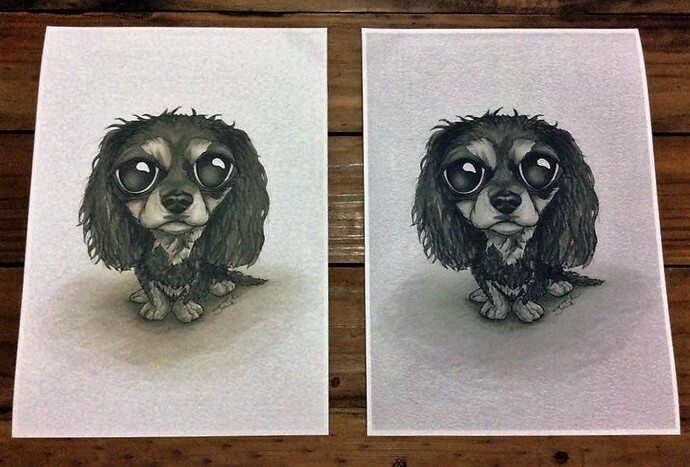 This is a high quality A4 print of my original artwork “Bubby Black & Tan Cavoodle” which was made using Copic markers and felt tip pens on high quality illustration paper. The print is created using a high resolution image printed onto glossy photo paper. It is a VERY high quality image – you can even see the grain of the original paper!